Brandy Allen is in a whole heap of trouble after ransacking her local Ulta (the finest place to purchase discounted toiletries) and attempting to get away with over $100 worth of eye shadow. Eye witnesses state that she wasn't even looking at prices or colors! How you gonna steal autumn colors when you're clearly a winter, Brandy? 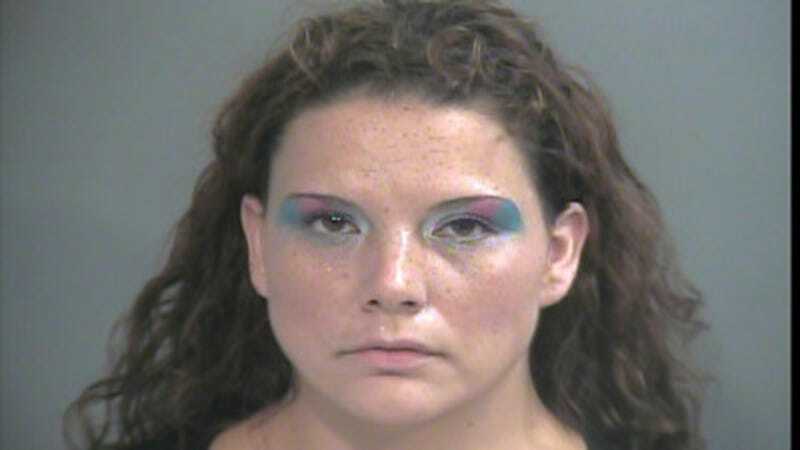 Honestly, there is nothing better in this report than the fact that it mentions that Allen (of Fayetteville, Arkansas) didn't even care what she was stealing (unlike other more beauty-conscious shoplifters), but the fact that it looks like she also tried all of the eyeshadow on before trying to hightail it out of the store is kind of the icing on the cake. The wing on the eyeliner? Ok, never mind, it gets better. According to KFSM, Allen was unapologetic when she was confronted by police officers, and when she was asked to empty the contents of her purse she did so slowly, trying to make it look like the five million packages of eyeshadow she had hidden in there were used by opening and rubbing her fingers all over them. When this didn't convince anyone, she started screaming about how no one saw her steal anything (except they totally did? That's why the police are here?) and proceeded to break a red eyeliner pencil in front of everyone while swearing loudly. This, I can agree with, because red eyeliner is so last year. Lane was merely doing a public service. Allen is currently out on $830 bond and is probably putting on more eyeshadow as we speak. Or she's never using eyeshadow again. Definitely one or the other.